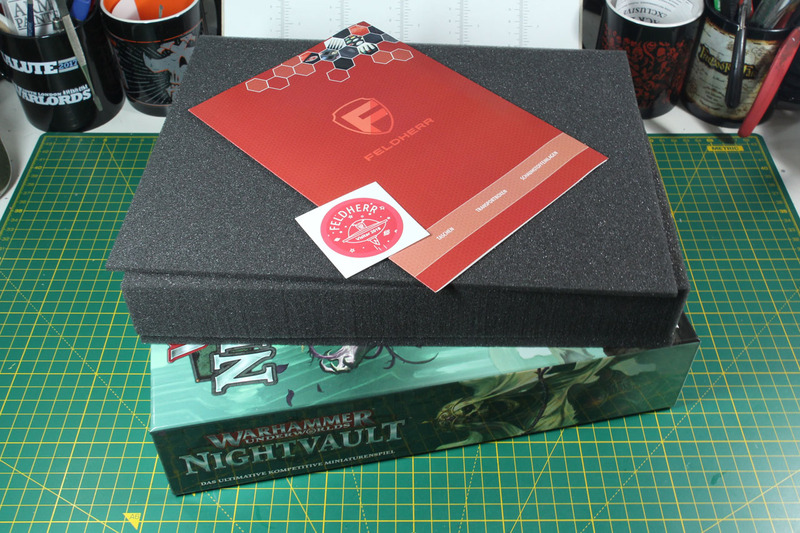 Then the Feldherr Inlay for my Nightvault starter set arrived. 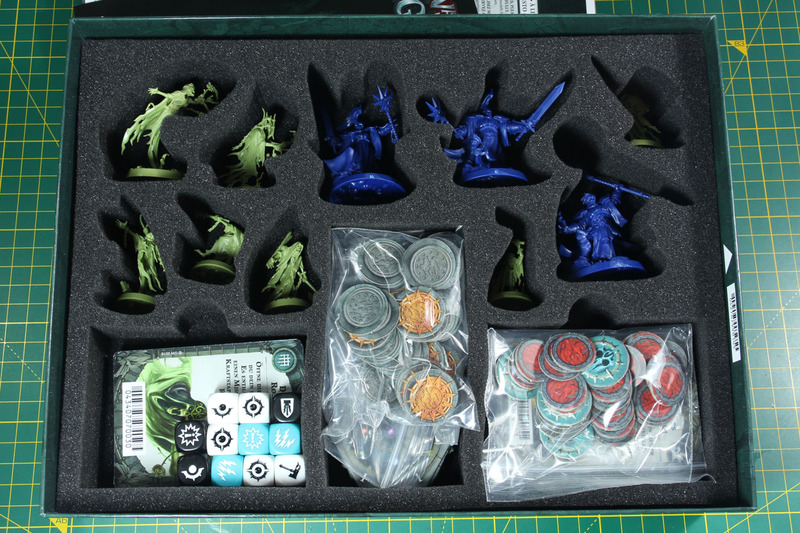 I already have one for the Shadespire starter set (and showed the matching Feldherr Inlay within the review). 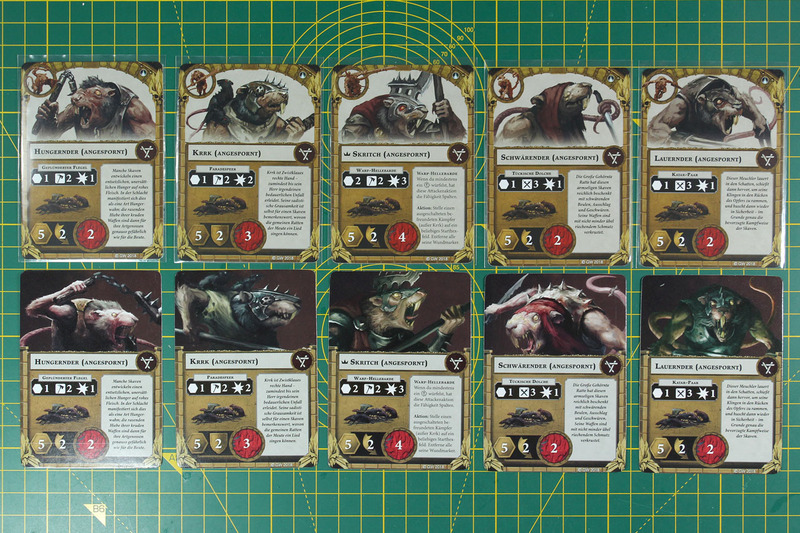 As there are more miniatures and more sprawling poses, the cut outs for the miniatures are not "just" boxes but outlines of the miniatures with a bit of clearance. I really like the fact, that the cut outs for the cards are not to tight and are big enough to use them with sleaved cards. The inlay is set at just below 10 EUR and fits the cardboard box absolutely perfect. 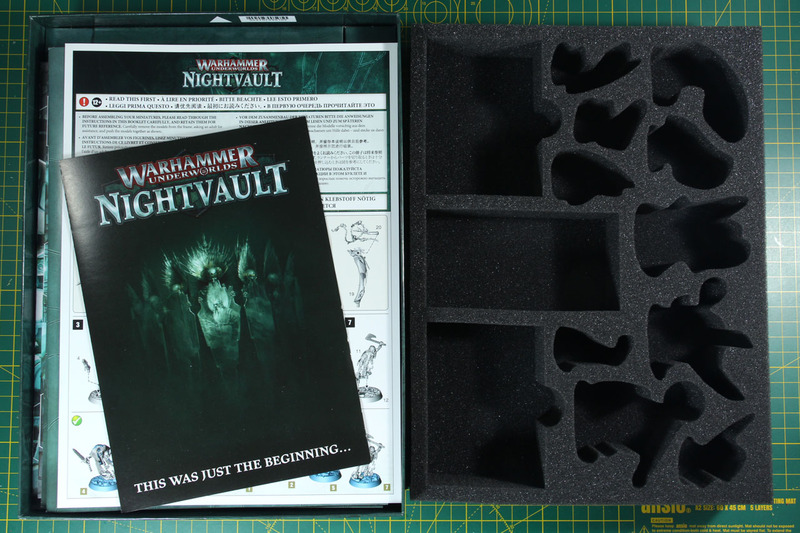 Where as I was already set on a foam inlay for Shadespire, with the delicate miniatures of Nightvault it is a must-have and this one suits that purpose in a great way. If you want to take care of your other warbands as well, Feldherr has your back as they offer thos inlays for those as well. 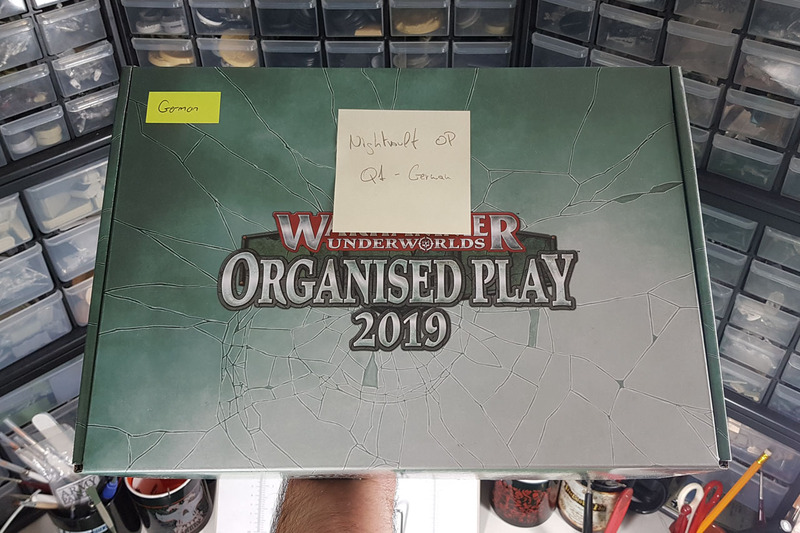 And another good news, after the unboxing of the Warhammer Underworlds Organised Play 2018 I managed to get the 2019 boxed set as well. I'll cover this one shortly, so stay stuned and come back in a bit.